Greek-ish dress, leggings that reach her knees, shoe similar to moccasins. 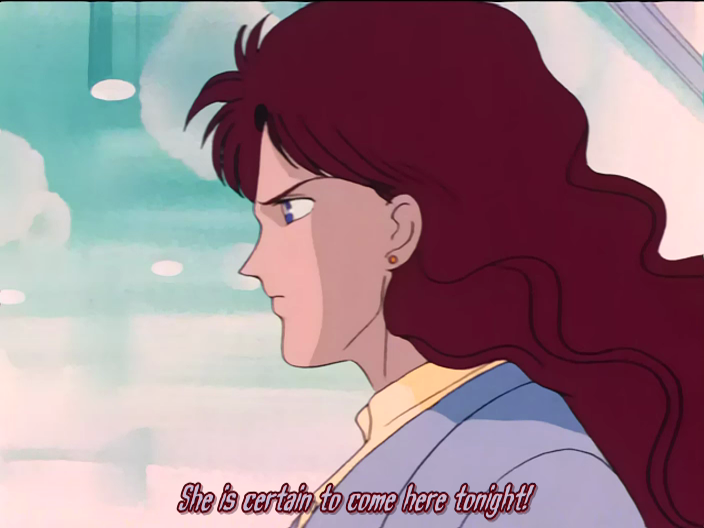 She's got the awesome hair of this fabulous fellow ( http://i.imgur.com/tuWJcsD.png ) Who is also known as Nephrite. Her hair changes color. She has the eyes of this gorgeous guy ( http://i.imgur.com/tuWJcsD.png ) Her eyes change color as her hair does. On her... right cheek, the bottom part of Jade's gem on the other side of her face. She's kinda split. She used to be in a team with two other gems, Jadeite and Zoisite, but [this] Zoisite died in the war. Her and Jade have the same gemstone, so you could consider them sisters of sorts. The music of 'Game of Life' cuz awesome. She wears a long, pinkish-white toga-like dress with carnation pink leggings that reach her knees. She is moderately tall, around the same size as... say... Peridot. She has long, Wavy, FLOWY, FABULOUS hair. If she so wishes, she can shorten her dress. Her dress now resembles a toga completely, but the dress cuts off a few inches longer than her thigh. If she is sane, she acts in a similar way to Amber. Except she's smart. Amber is less smart. She is very prideful of her hair and occasionally comments that her hair, unlike Jade's, is fabulous. If her hair is cut short by ANYTHING or ANYONE except for herself, well, you know Jesse from Pokemon?... A seviper bit her hair and it took off most of her hair... and she beat it senseless... .... Sigh. A glowing sword, known as a synth-sword, is her gem weapon, and it is very strong, and though it's pretty much a sword masquerading as a lightsaber, it CANNOT cut metal. Usually. This is referring to how, when she fights, there is no fear, no hesitation, her mind is clear, but anger can oftentimes cloud it. She acts in a way people used to think bulls do. Red makes her charge. Nephrite has a case of Magpie Syndrome. Magpie Syndrome is "an irrational affinity for shiny objects. When a highly shiny object is seen by the sufferer it often may induce a compulsive need to claim it and several minutes of staring at said object in the sun. This will later end in the sufferer pocketing the object to add to his/her collection by a sunny windowsill at home. If a shiny object is ouside of a sufferer's grasp it will usually result in an strong, though usually short-lived obsession over it." As far as the real world knows, there are no Red Nephrites. Nephrite is actually older than Jadeite, though she may not always seem that way. Nephrite is heavily inspired by the anime "Pretty Soldier Sailor Moon" (It's the Japanese Sailor Moon) Her Hairstyle matches that of Nephrite, her eye shape is similar to Zoisite, HECK, if it weren't for Sailor Moon I would never have made Neph or Jade. Neph is allergic to bee stings.